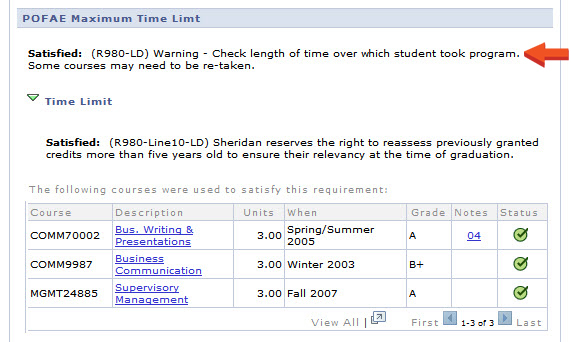 Keep track of your academic performance and progress for your program of study. Staying up to date with your academic progress and outstanding requirements will help ensure that you complete your program and graduate as quickly and as simply as possible. 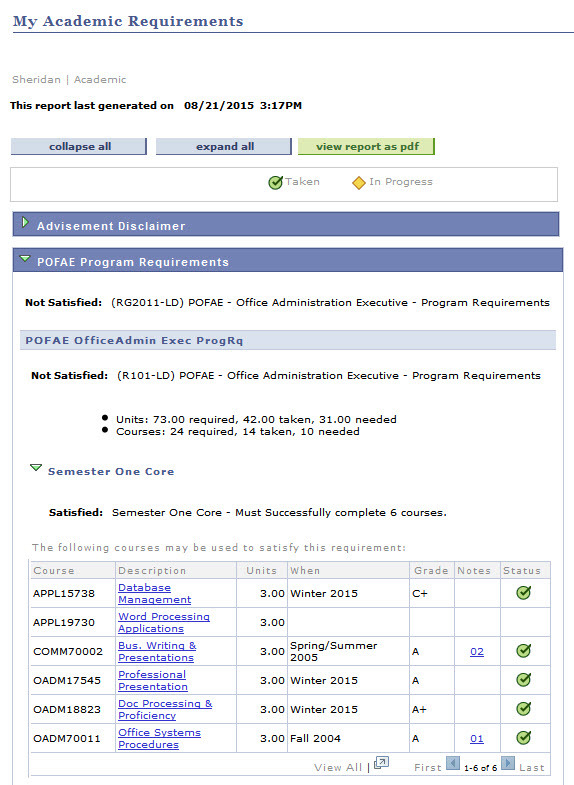 Your myAcademic Requirements report will capture your academic performance and progress for your program of study. Outstanding course required to complete your program. General questions should be directed to: academic-advisement@sheridanc.on.ca. If you have any issues or questions arising from your Academic Requirements Report, please consult with the Office of the Registrar. 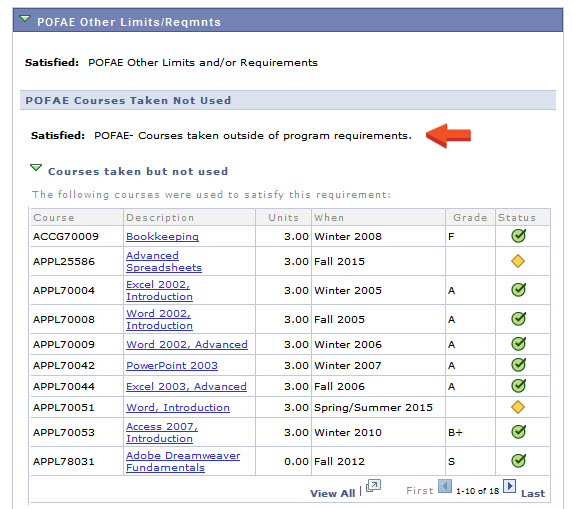 To access your MyAcademic Requirements report click the "Academic Requirements" link in the drop down menu under Academics. The MyAcademic Requirements report will capture the courses taken that have satisfied the program requirements, courses in progress and grades. It will also report on courses taken but not part of the program requirements. The report will also list courses taken within the program, but, not used to meet the program requirements (i.e. 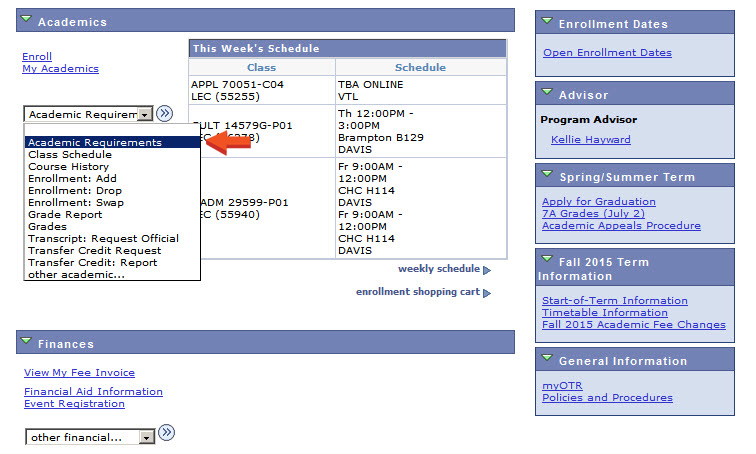 failed courses, withdrawals, repeat courses). Courses taken by the student that fulfill program requirements that extend beyond 5 years will be identified. It is important to recognize that although the courses identified here will satisfy the student’s program requirements, they may not satisfy the graduation requirements. Approval may be necessary to allow these courses to be used for graduation purposes.